When you move, it is important to give your new address to everyone who sends you mail. At your request, the United States Postal Service (USPS) will forward mail sent to your old address to your new one. 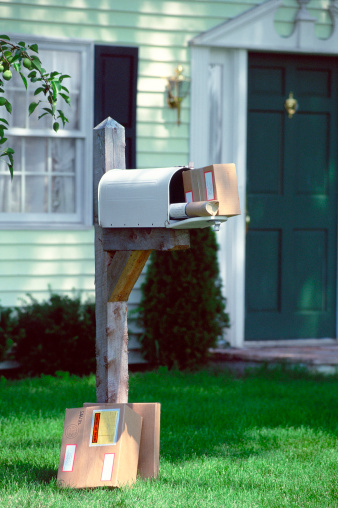 If you changed your address with the post office but still aren't getting mail, you'll need to check the status of your change of address (COA) request. Make sure your mail finds its way to you after a move. Launch an Internet browser and go to the United States Postal Service's official address change site, located here. Note that if you are changing your address to a P.O. box, you will need to rent the box before beginning the COA process. Click the link labeled "view, update or cancel a Change Of Address order." This link is located at the bottom of the page. Enter your confirmation number and new zip code where indicated on the screen. If you filed your COA electronically, this confirmation number was included in your confirmation email. If you filed a paper COA, your confirmation number was included with the letter the USPS sent to your old address to verify your request. Click "submit" after typing in your information. View the status of your mail forwarding and make any necessary changes. If you are unable to make the required changes, cancel your existing COA and file a new one. Under normal circumstances, forwarded mail should begin arriving in a few days.